Home Entertainment Celebrity News Alexis Sanchez, a flop signing for Murinho? Alexis Sanchez, a flop signing for Murinho? The Chilean, Alexis Sanchez, has been a victim of criticism over the weekend as Manchester United failed to secure a crucial win over Wolves on Saturday. Sanchez enjoyed a wonderful career at Arsenal after a record signing from Barcelona but is struggling to replicate the same performance at Old Trafford. 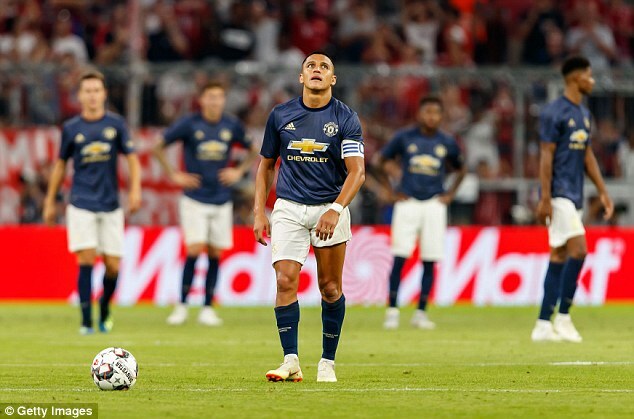 Jose Mourinho was quick to defend the Chilean stating that after a full pre-season, Sanchez would be far better at the club but as it seems the opposite might be true. Sanchez has only had three shots on target so far this season in the Premier League. His arrival at Old Trafford was expected to spur the attacking cohesion of the team and ad on to the pace on the attacking front but so far none of that has been evident. With the likes of Lukaku lacking the aggressive attacking pace, Sanchez could have teamed up with Rashford, Lingard and Martial to form a fast attacking threat. It was evident though that Sanchez was in facing a decline of form even before his sale to Manchester United. Mourinho’s prediction that a change of environment and challenge would spark a new form for the Chilean seems to be mere speculation now. We can therefore conclude that Sanchez is comfortably United’s worst attacking player having even failed to complete 90 minutes since the opening night of the season. Jason Statham Nearly Dies on Set.